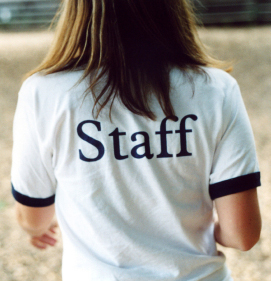 Training your camp staff is one of the most important things you do as a camp director. Start preparing for your training sessions now by establishing your goals and sharing them with your staff members. Before staff training begins, sit down with your leadership team and determine your goals for camp and, specifically, for training. This can be done by writing ideas on Post-it Notes and narrowing them down together to a handful of goals that cover all that's important to your camp. This page contains a single entry by KidsCamps Editor published on May 3, 2018 11:00 AM. 10 Things Every Camp Should Do On Their Blog was the previous entry in this blog. Tips to Keep Campers Hydrated is the next entry in this blog.